Successfully Added Full-HD Security Camera - 4MP CMOS, 2592x1520p Full HD, IP66 Waterproof, Motion Detection, Night Vision, Alarm, Remote Viewing to your Shopping Cart. 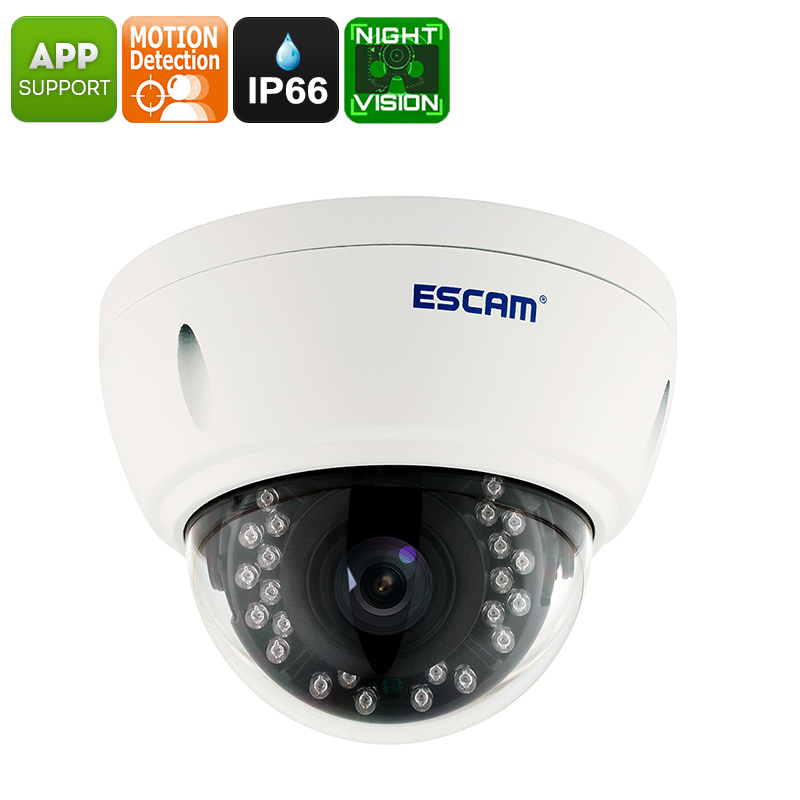 The ESCAM QD420 is an advanced dome camera that features an IP66 waterproof design. This security camera can be used efficiently in both indoor and outdoor environments. With its 75-degree viewing angle, it guarantees you that not a single movement around your property stays unnoticed. When an unwanted visitor is detected with its motion detection feature, the camera will send out alarm notifications through e-mail. This IP security camera can be accessed remotely on your iOS or Android smartphone. Thanks to this, you will always be up to date on the security status of your home or office even when you’re not around. With its high-end 4MP CMOS sensor, this IP camera treats you to highly detailed security footage in 2592x1520p resolutions. This means that you’ll always be able to recognize the person who has entered your property. With its IR cut and 15-meter night vision support, this IP camera protects your house or business around the clock. No matter the environment, the ESCAM QD420 will keep your property safe. If you’re looking for a great way to upgrade your security, this advanced IP camera certainly is a gizmo to consider. 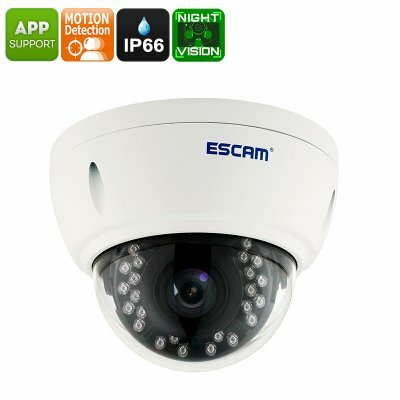 The ESCAM QD420 IP camera comes with a 12 months warranty, brought to you by the leader in electronic devices as well as wholesale electronic gadgets..